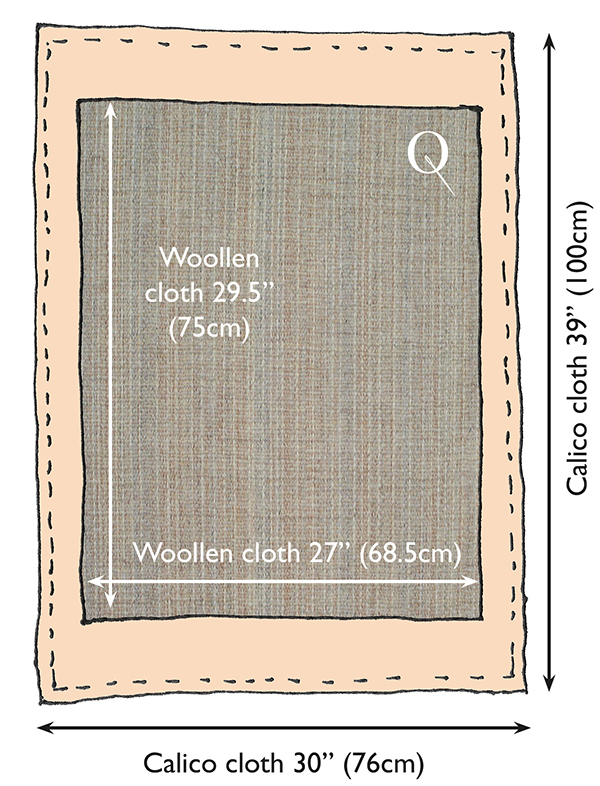 How much fabric is needed to make your own panel? The visual impact and beauty of the award winning Quaker Tapestry Museum inspires all those who visit. Compared with the Bayeux Tapestry, this masterpiece of storytelling is a celebration of life, people and events across the centuries. A myriad of stories are revealed in the set of 77 captivating and colourful embroidery panels. 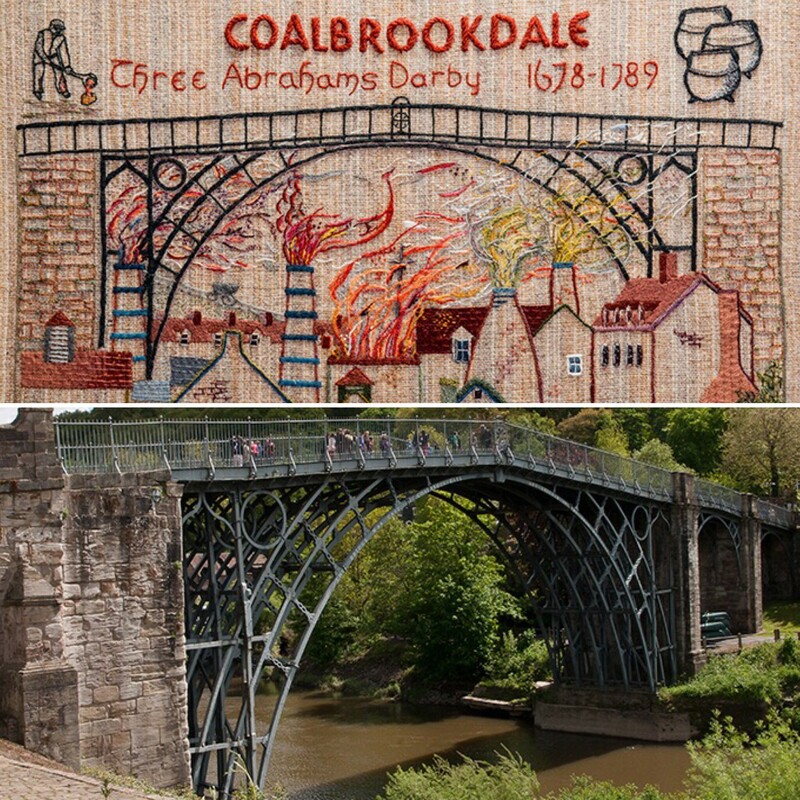 The Quaker Tapestry project was about bringing people together, creating communities, sharing stories and skills. The project ended in 1996 but it’s ability to inspire others lives on today. ‘Inspired by’ panels, created by groups and individuals struck by the impact of such a bold narrative textile, are growing in numbers. We are thrilled to hear of groups or individuals taking up their needle and thread to create their own panel. This is the first in a series of blog posts about how to do just that. The woolen cloth, specially commissioned for the Quaker Tapestry panels has changed slightly over the years. So what we sell today doesn’t look exactly like the tapestry panels but very close to it. 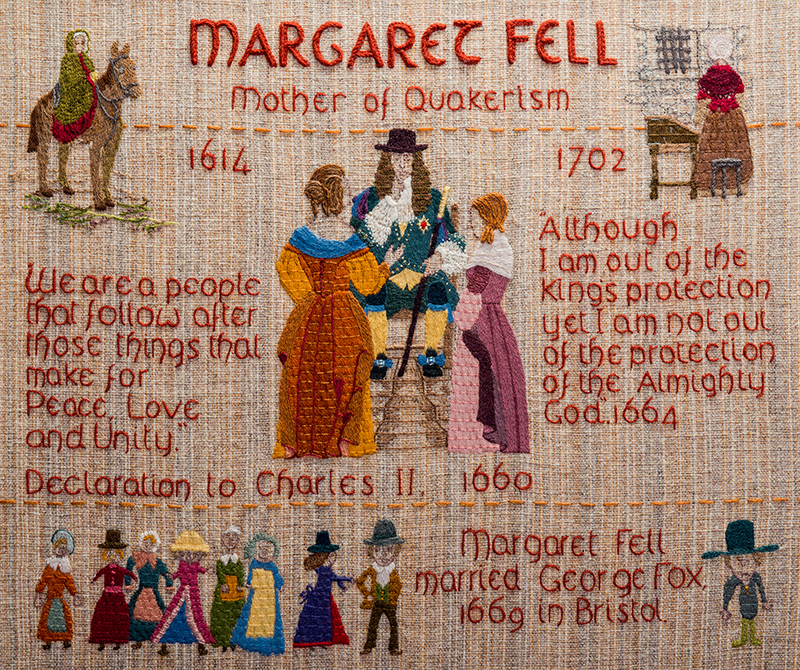 It remains a uniquely woven fabric, exclusive to Quaker Tapestry Museum. Fabric you will need for a full size panel..
We also sell aqua pens and Appletons beautiful woollen threads (available direct from our museum shop or office) to complete your tapestry project.